Item # 303383 Stash Points: 2,495 (?) This is the number of points you get in The Zumiez Stash for purchasing this item. Stash points are redeemable for exclusive rewards only available to Zumiez Stash members. To redeem your points check out the rewards catalog on thestash.zumiez.com. 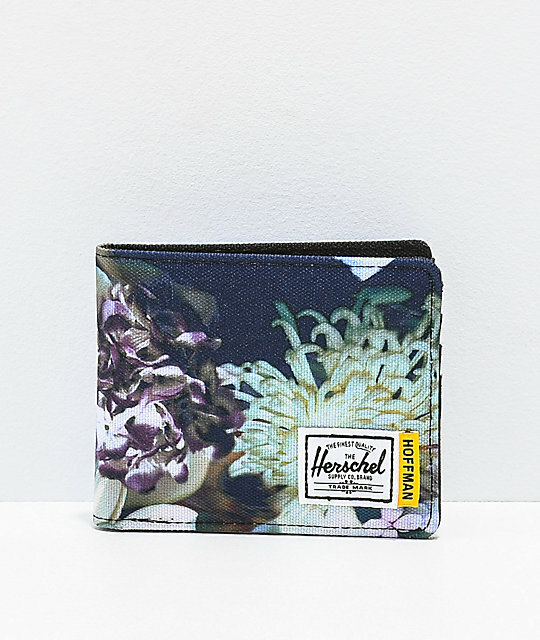 Carry your cash in style with the Hoffman Winter Floral Bifold Wallet from Herschel Supply Co. This bifold wallet features a light blue floral print design from Hoffman California Fabrics and includes multiple card slots, a currency sleeve, along with additional storage to carry all of your cards and cash. A brand label is added to the front, for a signature design Herschel Supply Co.
Hoffman Winter Floral Bifold Wallet from Herschel Supply Co.
Signature prints by Hoffman California Fabrics. 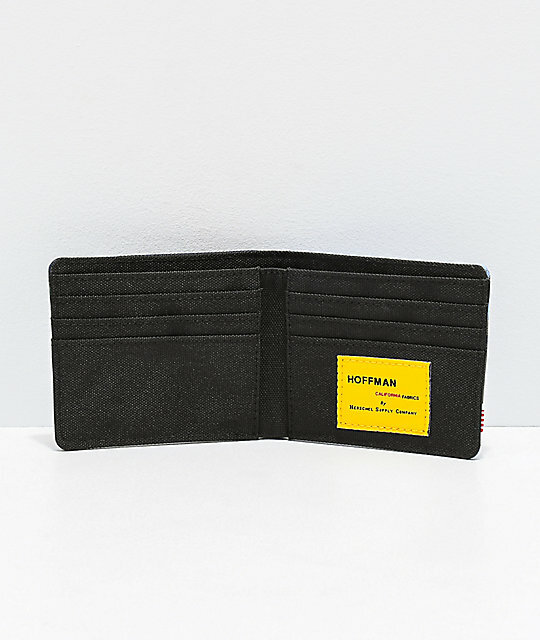 Multiple card slots with interior pockets. Currency sleeve with additional storage. Hoffman California Fabrics custom branding. 3.5" H x 4.375" W x 0.5" D.